The invaders in the Donbas seek to strengthen the protection of their armored vehicles, fearing the appearance of American anti-tank missile systems Javelin in the disposal of the Ukrainian military, according to the People's Deputy Dmitry Tymchuk reported. “To check the readiness and quality of the work carried out on the armored equipment with additional means of protection against the FGM-148 Javelin ATGM, commissions under the leadership of the RF Armed Forces officers started operating in units and divisions of the 1st and 2nd AC," Tymchuk wrote on Facebook. The main efforts of the command of the 1st and 2nd army corps of the operational grouping of the Russian occupation forces were aimed at maintaining the combat readiness of troops, engineering equipment of the terrain, carrying out planned measures for combat training, and checking the situation in subordinate units. 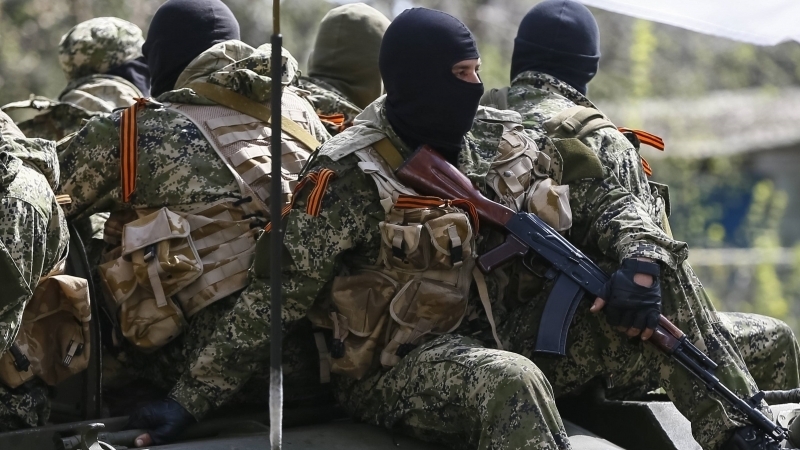 “Duty artillery crews of the enemy are in a state of constant readiness to strike at the Armed Forces of Ukraine, and daily training is conducted to work out the deployment and forward presence for gunfire strikes," Tymchuk further reported. Also, during the winter training period, the enemy is intensively conducting combat training at the Central, Udaloy, Udarny and Primorskiy training ranges to coordinate the actions of the units during offensive operations. Earlier, Defense Minister of Ukraine Stepan Poltorak informed that Ukraine will receive American anti-tank missile systems Javelin already this year. QHA reported that the Armed Forces are preparing for the adoption of the Javelin ATGM. The Chief of the General Staff, the commander-in-chief of the Armed Forces of Ukraine Viktor Muzhenko stated that before the delivery of anti-tank systems experts should check Ukraine's readiness to accept such weapons.